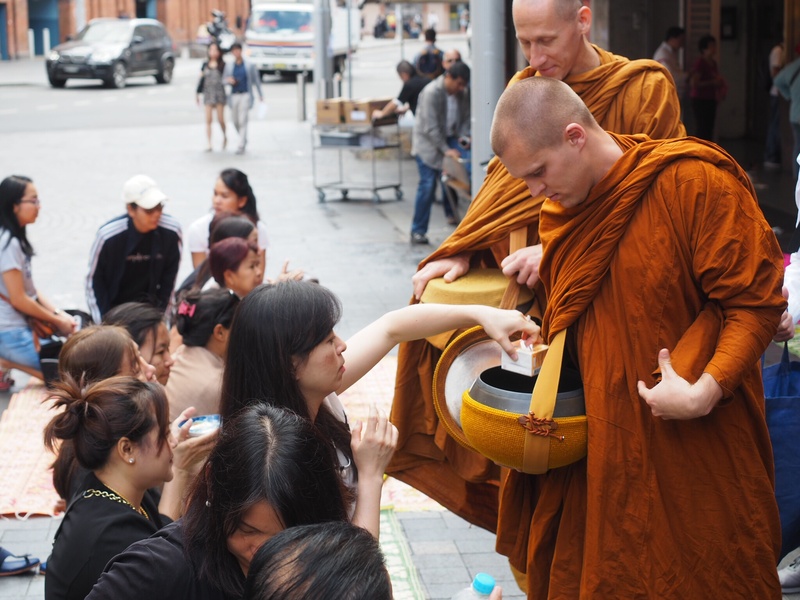 Come together with a wide community of Indonesian, Thai, and Australian Buddhists to express your faith by offering food to local monks as they walk for alms through downtown Sydney. 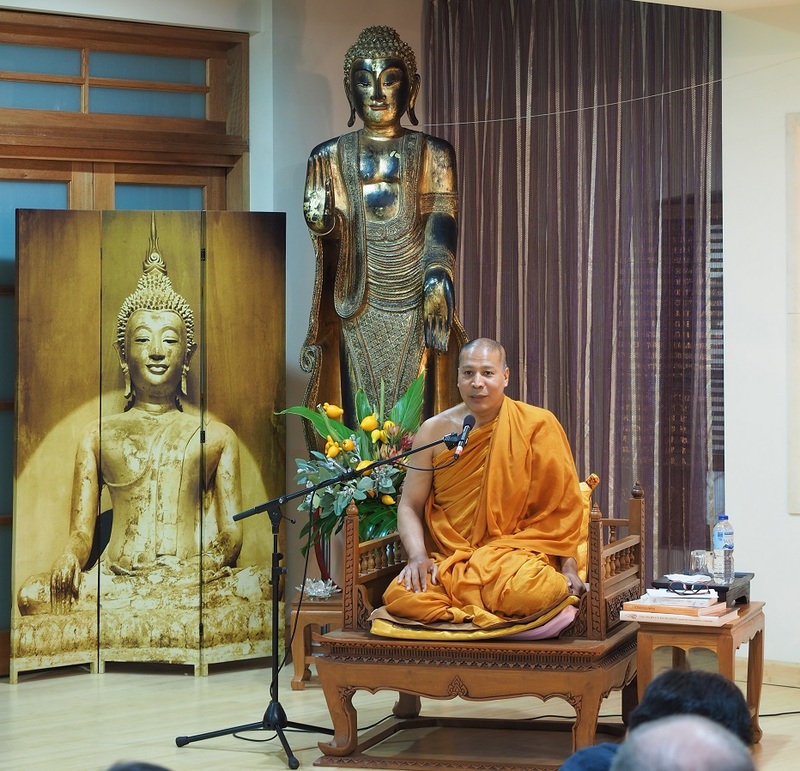 In addition to supporting respected monks such as Tan Chaokun Samai, you and your family will have the opportunity to then gather at Bodhikusuma with other faithful to share a meal, listen to a Dhamma talk, and chant. Bring some faith and flavor into your month at this unique event! A tradition that has been carried on since the time of the Buddha. Those who had gone forth to the homeless life would rely solely on alms in order to provide sustenance for the body. This would leave the alms mendicants free to pursue higher spiritual pursuits. In turn, the donors of the alms food would receive the noble benefits of having helped those along the path to spiritual peace and insight. One benefit of providing sustenance to those alms mendicants, is that we hope that they may in return give us the highest gift – teachings on Dhamma or Truth that may release us from all suffering. 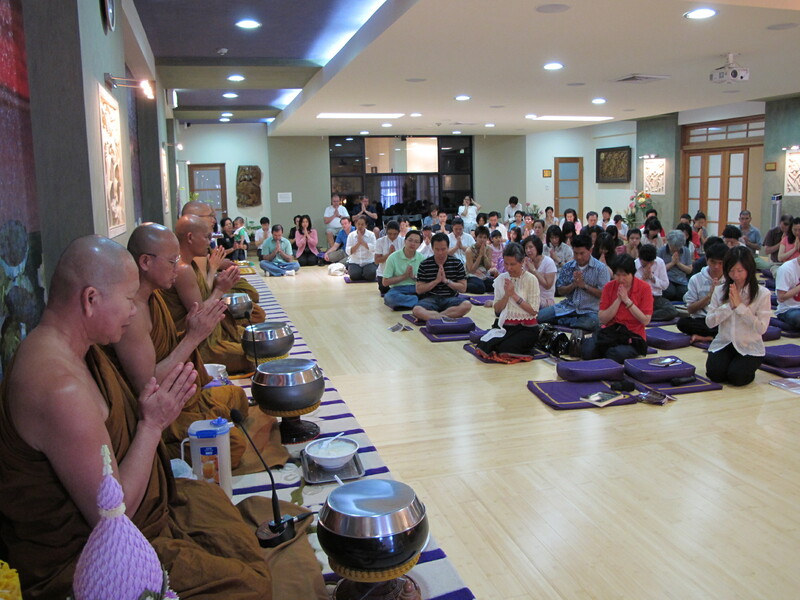 We also gain a good opportunity to practice chanting with other like-minded individuals. And after everyone is encouraged to share some lunch and meet other fellow volunteers and others. 9:30am: Monks start alms from Bodhikusuma Centre. 10:05am: Back to Bodhikusuma Centre. This is the last chance to give alms in front of the entrance of Bodhikusuma.